These guys could come out of nowhere to finish high in MVP voting this season. The winner of the MVP award in each league doesn’t come out of nowhere every season. But every year, there is at least one guy that finishes way higher than expected, and raises some eyebrows in the process. Last year in the AL, Alex Bregman and Matt Chapman each finished in the top ten, despite never receiving even one MVP vote during either of their brief MLB careers. In the NL, Christian Yelich won the award with one 19th place finish to his credit, and Javier Baez was the runner-up, the only time he’s ever gotten MVP votes in the majors. Who could be this year’s version of Baez, Bregman, Chapman, or Yelich? Here are six candidates, three from either league. Mitch Haniger, Mariners. Haniger finished 11th last year in AL MVP voting with the Mariners, slashing .285/.366/.493 with 26 homers. Seattle’s gonna stink this year in the AL West, but Haniger is going to be a popular trade deadline candidate in July, especially if he’s playing anything like he did last year. If he gets traded to a contender, and puts together a season even better than he did last season, he’ll have both the on-field production and off-field narrative to be a guy getting high ballot MVP votes. Tommy Pham, Rays. You probably forgot that Pham played for the Rays. It’s understandable – after all, he was traded to the team from the Cardinals in July, and the Rays finished third in a loaded AL East. Tampa Bay could be a sneaky contender this year with reigning AL Cy Young winner Blake Snell at the top of a young, promising rotation and Pham in their lineup. After the trade last year, Pham hit .343/.448/.622 with seven homers in 39 games, and while he probably won’t play that well over the course of a full season, the potential for continued success is clearly there. George Springer, Astros. It’s kind of a cop out to have a World Series MVP and two-time All-Star as a dark horse MVP candidate, but Springer only received MVP votes in one season – that magical 2017 season for the Astros. Last year was actually the worst season of Springer’s career, but the 29-year old still cranked 22 homers with an above average .780 OPS. If Jose Altuve and Carlos Correa stay healthy for all of 2019, and Alex Bregman repeats his ridiculous 2018, there will be less pressure on Springer to produce, and he could absolutely rake in that stacked lineup. 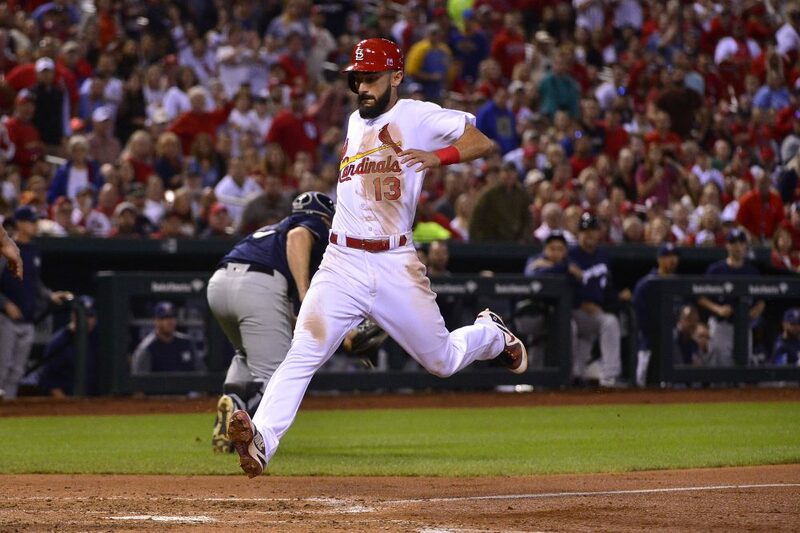 Matt Carpenter, Cardinals. Carpenter finished ninth in NL MVP voting last year, and probably deserved to finish higher after hitting .257/.374/.523 with 26 homers, 42 doubles, and 102 walks. The Cardinals have a new, highly-paid offensive threat in their lineup in Paul Goldschmidt, meaning that Carpenter won’t have to carry the entire load, like he did last season for St. Louis. If Marcell Ozuna also rebounds and hits like he did in 2017, Carpenter’s numbers could look absolutely stupid come the end of the season. David Peralta, Diamondbacks. This name is way out of the box, I know. The Diamondbacks are going to be pretty bad this season, and they kept Peralta around instead of dealing him for prospects in the offseason. Last year, he hit a career-high 30 homers in 146 games, and slashed .293/.352/.516. Peralta’s already 31, so this is probably as good as it gets for him, but like with Haniger, if he has a strong first half and gets traded to a contender, he could have the on-field stats and off-field narrative to power him to a high finish in MVP voting. Anthony Rendon, Nationals. With Bryce Harper moving to Philadelphia, Rendon will now be the guy in DC (along with Juan Soto). He’s finished between fifth and 11th in MVP voting in three of the four seasons he’s stayed healthy in over his career, and if he’s able to play 150 games this year, his performance will probably be typically strong. With the Nationals seeking a playoff appearance, they’ll need Rendon to deliver, and if he does, he’ll be getting all the plaudits for the team’s success in 2019.